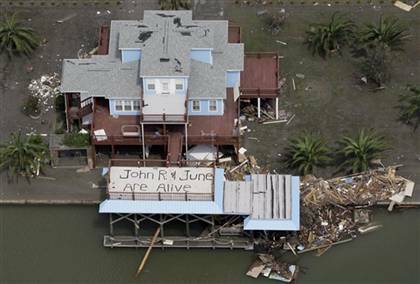 Much of the damage caused Hurricane Ike has been blacked out by the media. 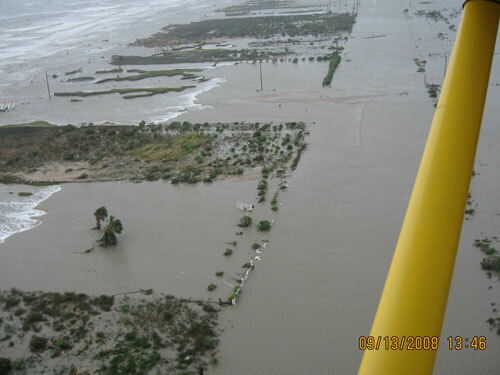 Texas Governor Rick Perry has not allowed the mainstream news media to display many photos of the damage on the west side of Galveston island or the Bolivar Peninsula. 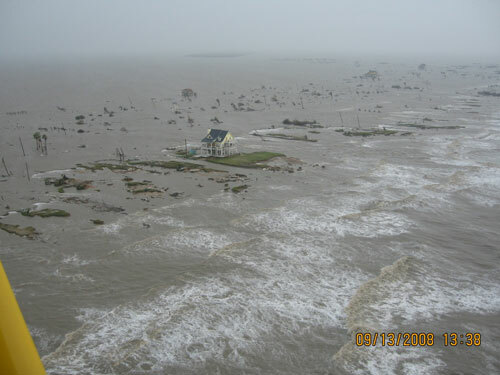 Thank goodness for the blogasphere.The damage in Galveston Bay is unfucking real. The best photos online can be found here. There are more shots of the devastation located at http://jakeabby.com/cb/. Also more info on the media blackout – http://www.worldproutassembly.org/archives/2008/09/media_blackout.html. This entry was posted on September 18, 2008 at 2:11 pm and is filed under Weather. You can subscribe via RSS 2.0 feed to this post's comments.